Heidi Crowter, a 23-year-old woman from Coventry, has been voicing her experience of life with Down’s syndrome and speaking out against disability screening. 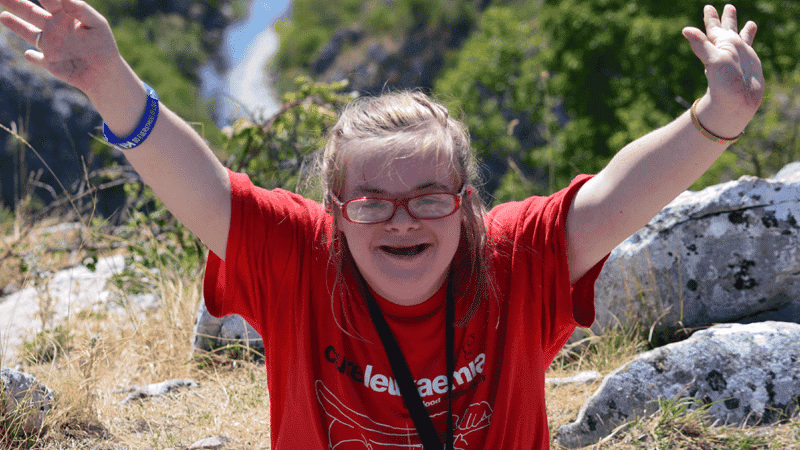 Heidi said that parents “are being told lies” about Down’s syndrome and she hopes that her example of life and faith will challenge the misconceptions. She is actively involved with Don’t Screen Us Out, a campaign group highlighting that Non-Invasive Prenatal Testing (NIPT) is likely to result in a large number of abortions in the UK. Latest figures for Great Britian reveal that around 92 per cent of pregnancies where Down’s syndrome is identified result in abortion. NIPT screening has already been introduced in Iceland, where the abortion rate for Down’s babies is almost 100 per cent. As a parent of a child with Down’s syndrome I see a decline in their numbers being a direct result of discrimination. Mum, Liz, said that here in Great Britain: “As abortion is legal up to birth for severe handicap, the pressure to abort is immense”. “As a parent of a child with Down’s syndrome I see a decline in their numbers being a direct result of discrimination”. In her interview with The Christian Institute, Heidi said: “I think my concern is that more and more babies will be screened out. “I’m trying to get them to actually meet the person first, and also to get them to understand the person with Down’s syndrome has a lot to give to life”. “My life is just as important and just as joyful as everybody else’s”, she said. Heidi’s campaigning has helped to bring pro-life debate to public attention resulting in the UK National Screening Committee establishing an ethics sub-group. NIPT is planned to be implemented via the NHS Fetal Anomaly Screening Programme, which will begin in England next year.